Many many thanks to Quirk Books for this fantastic free copy! Please tell me this cover makes you smile!! HILARIOUS!! 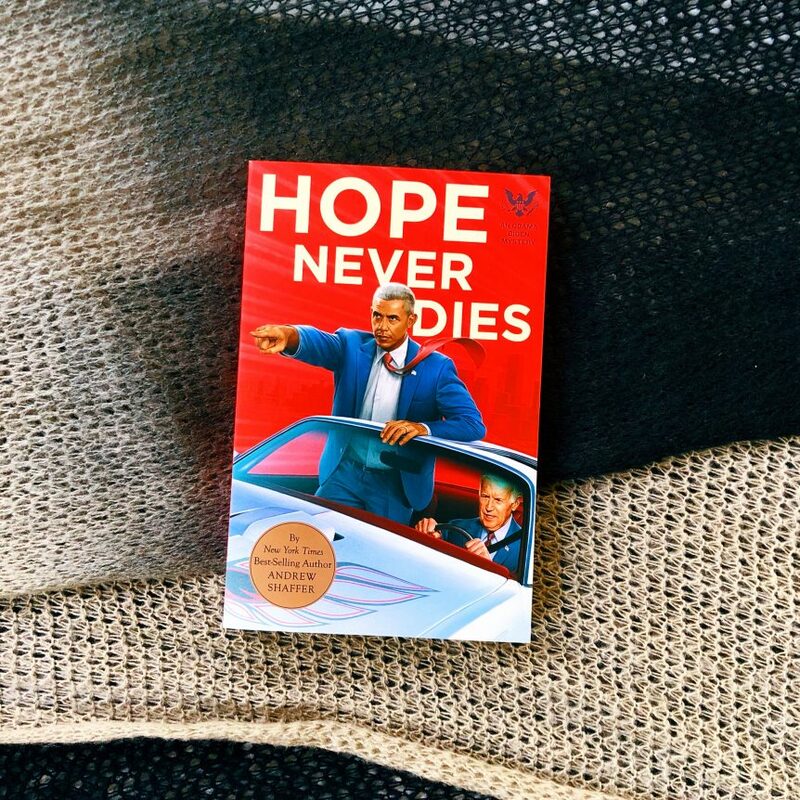 Where did the idea for Hope Never Dies come from? The first time I saw Joe Biden in his Ray-Ban aviators, I thought, ‘that guy’s an action hero.’ The sunglasses, the suit, the dead-serious stare—you think you’re looking at James Bond. And then he opens his mouth and sticks his foot in it, and you realize he’s closer to Leslie Nielsen. I toyed with the idea of a solo Joe Biden novel for years, but it never went anywhere. When the Obama/Biden ‘bromance’ memes began circulating on the internet during their final months in office, I dusted off the idea of doing a Joe Biden send-up and tweaked it—namely, to add President Obama as the Sherlock to Joe’s Watson. Was it a challenge to write action scenes for a protagonist who is 75 years old? Surprisingly not! 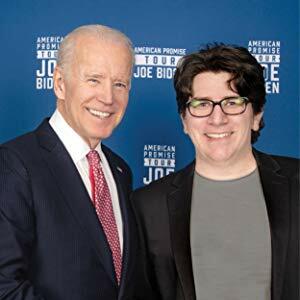 Joe Biden is in fantastic shape—I had to hobble him with a bum knee just to make things competitive between him and the bad guys. Do you have a particular favorite Biden-ism that you wrote?